I very rarely look forward to getting the mail on a day to day basis. I know from years of experience that most people get boring mail every day. If the mailbox isn’t empty, it has bills, charitable requests, junk mail or any combination of all three. No one ever wants bills. Well, I shouldn’t say that because I can tell you from many years of complaints that there are people who get very ornery when they don’t get the gas bill on the day that the gas bill is supposed to come. God help you if the neighbour got his gas bill and Mr. Crankyasshole didn’t. If they don’t see you or aren’t able to catch up to you somewhere on your route, they will certainly be talking to the supervisor. Not having something is surprisingly difficult to prove to someone. In the past I have reached into my bag and brought out an empty hand with a flourish, saying “Well, here it is!” I always thought that was funny, but neither the customer nor my boss did, ever! 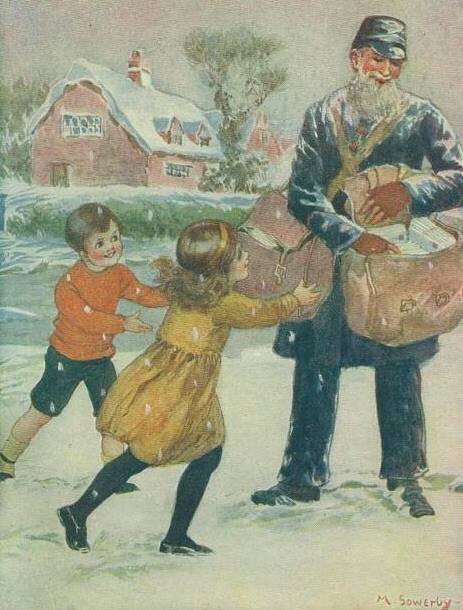 The bill would inevitably come the next day and Mr. Crankyasshole would be convinced that his complaining made the delivery possible. My boss figured that I had misdelivered the bill and picked it up from the wrong house and dropped it at the right house. Sometimes, that is exactly what happened, but only sometimes. It got to be a game of sorts to see how pissed off I could get Mr. Crankyasshole. It is really easy to piss off a guy like that and when you spend three or four hours a day wandering in circles, you have plenty of time to think of new and innovative ways. I don’t even look at the junk mail and any charitable requests go right to Louise who is a much more generous and thoughtful person than I am. I am one of those guys that believe charity begins at home and since I don’t think there is enough left over to make a difference, I just keep it. There's a priest, a minister and a rabbi. They're out playing golf and they're trying to decide how much to give to charity. So the priest says, we'll draw a circle on the ground, we'll throw the money way up in the air and whatever lands inside the circle, we give to charity. The minister says "no", we'll draw a circle on the ground, throw the money way up in the air and whatever lands outside, that's what we give to charity. The rabbi says "no, no, no", we'll throw the money way up in the air and whatever God wants, He keeps. I am the Rabbi and Louise is much nicer than I am as I said. Every now and then, I do get good things in the mailbox. I get my statement from my PO pension, and I actually get my CPP check delivered to the door. The odd time I will get a birthday card and we still get Christmas cards. Well, we have up until now, but with the rise in the cost of postage, who knows what this year will bring. Lately I have discovered that I can order items from China and in 10 to 23 days I get a package in my mailbox. It is wonderful! Today in the mailbox there was a Lego catalogue with all of the new goodies that will be hot this Christmas. I get the catalogue because I am a VIP member. Me…a VIP member, talk about a club with low standards. 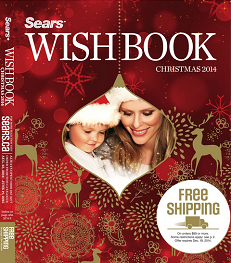 Yesterday I filled in a form with Sears to get their Christmas Wish Book, and some day soon I will look in the mailbox and there it will be. I won’t get as much joy out of the catalogues, but Hurricane and Tornado sure will. I can almost see them huddled on the floor circling the toys they want Santa to bring.